Winner of the 2018 ColumBEST awards for ‘Best Apartment Complex’ Apartments at the Yard is located within booming Grandview Heights. 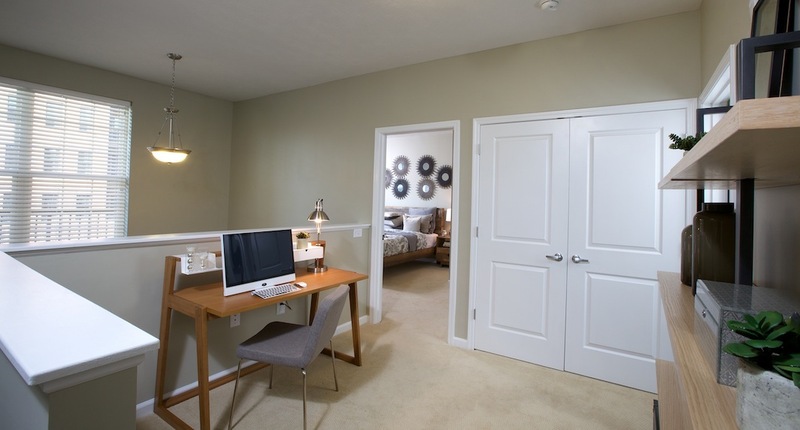 Located near downtown Columbus in Grandview, The Apartments at the Yard are your gateway to having it all. Whether you choose The Baldwin, Porter or Pullman building, you’ll be minutes away from experiencing Columbus’ leading sports and entertainment venues, exploring exciting restaurants and nightlife or wandering some of the best parks and trails in the greater Columbus area. Are you worried you’ll never find the perfect mix of urban living and suburban comforts? Do you want to live in the heart of Columbus without the hassle of downtown? Do you want your kids to attend the top-rated school district in Central Ohio? Apartments at the Yard is a rare opportunity to have it all, from the charm of brick streets and lush green spaces to the convenience of the Columbus’s best neighborhoods and biggest attractions. These luxury, urban-style apartments are a mix of one- and two-bedroom flats and townhouse apartments located in the new and exciting mixed-use Grandview Yard development in Grandview Heights near downtown Columbus, the Arena District, Lennox Town Center, The Ohio State University, Short North, Victorian Village and Wexner Medical Center. Ready to apply? Visit grandviewyardapartments.com.